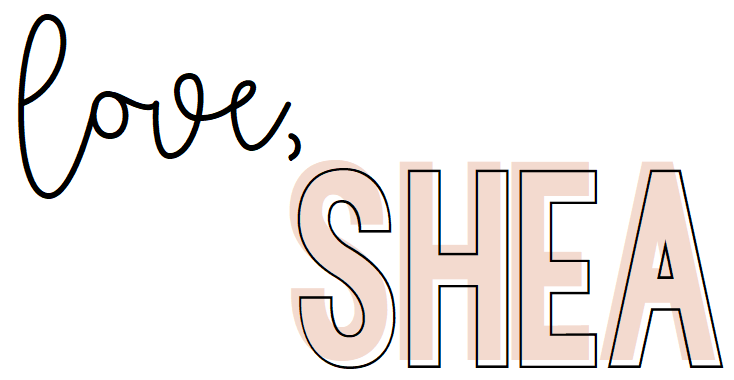 Get excited because it's time for another installment of the "Create with Cricut Challenge"! If you didn't get a chance to see my previous projects for the challenge you can find my felt project here, my cereal box project here, my burlap project here, my tissue paper project here, my paint chip project here and my leather project here! 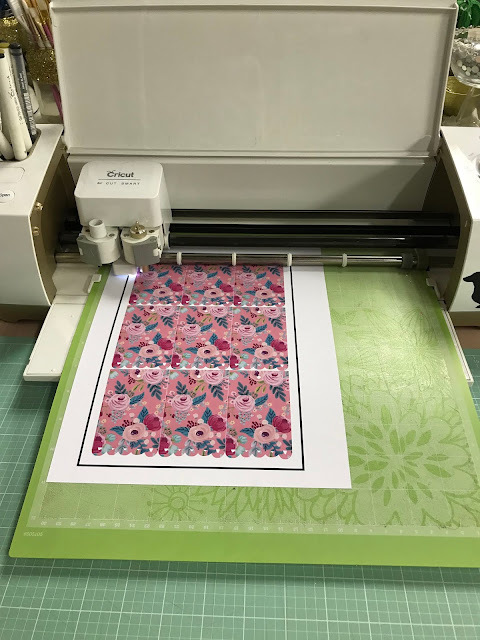 If you're new around here and unfamiliar with the challenge, each month there is a new mystery material and using my Cricut, I make something using it! Isn't that fun?? This month, the material is wrapping paper! 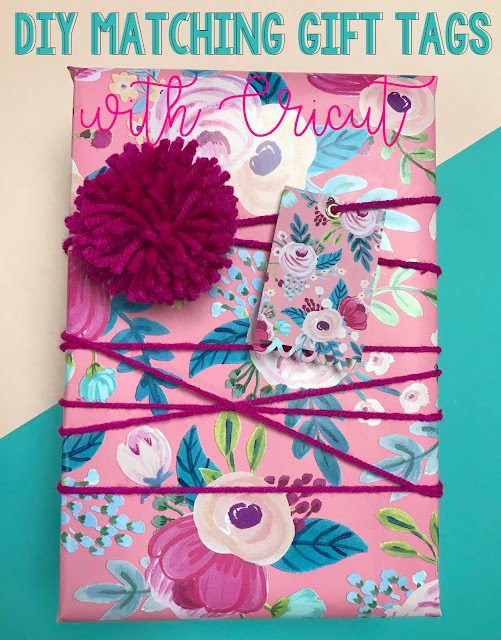 I really tried to think out of the box with this project so I decided to use my favorite Cricut feature, the print then cut feature to create custom gift tags that match your favorite wrapping paper! It's no secret that I'm a major gift wrap junkie. I LOVE wrapping gifts. I don't know what it is, but I still remember my mom teaching me how to perfectly fold the corners in and I've loved it ever since. Maybe it's because receiving gifts is one of my love languages and so it's also how I like to show love, I don't really know, all I know is, I love it! 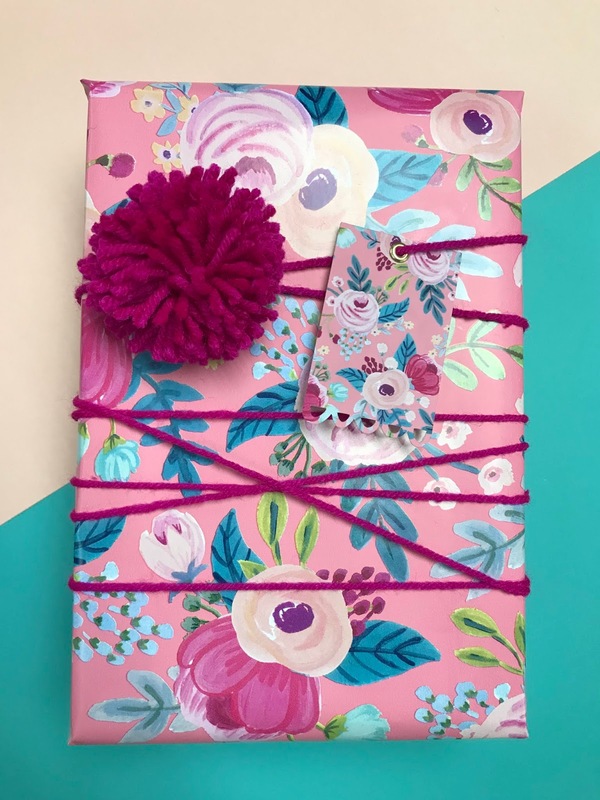 Another thing that is no secret about me is how OCD I am about things matching and if you're the same, this DIY is definitely for you! Have you ever found the perfect wrapping paper and unable to find the perfect gift tags to match said wrapping paper? Well today, I'll teach you to make your own! You're going to start by scanning the gift wrap you want to use and then upload it as a pattern in Cricut Design Space. You can do this by clicking "upload" in the bottom left and then "Upload Pattern". Then decide on your tag, I really loved the "Purple Tag" from the Something to Celebrate cartridge. It's a two layer tag but I decided to only do the top layer. 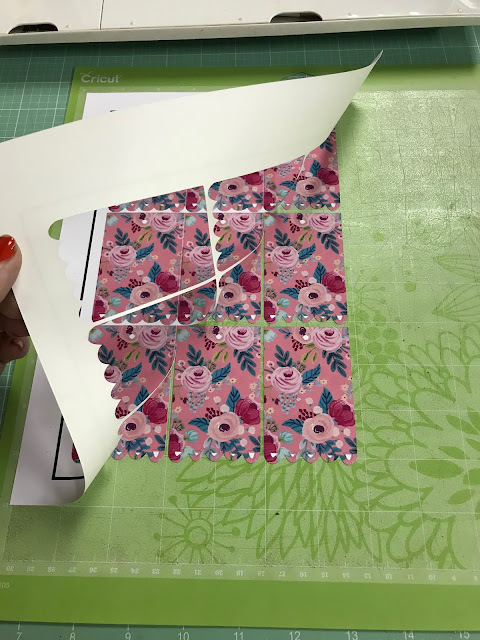 Once you chose a tag you'd like to use, change the cut symbol next to it to a print symbol, this is where you will find "patterns". The pattern you uploaded should be at the top, click it. From here you can click edit at the bottom of the window and this screen will appear. As you can see, my pattern begins to repeat towards the bottom of the tag. I didn't like the look of that, so I decided to change the scare to 150 which essentially zooms into the pattern. You can play around with this until you're happy. You can also move your pattern horizontally, vertically, or even rotate or flip your pattern, so play around until you're happy with it. Once you are, you can click "Make it". I decided to fit as many tags as I could on one page so I'd have extras for the next time I used this wrapping paper. Then, you're ready to print! 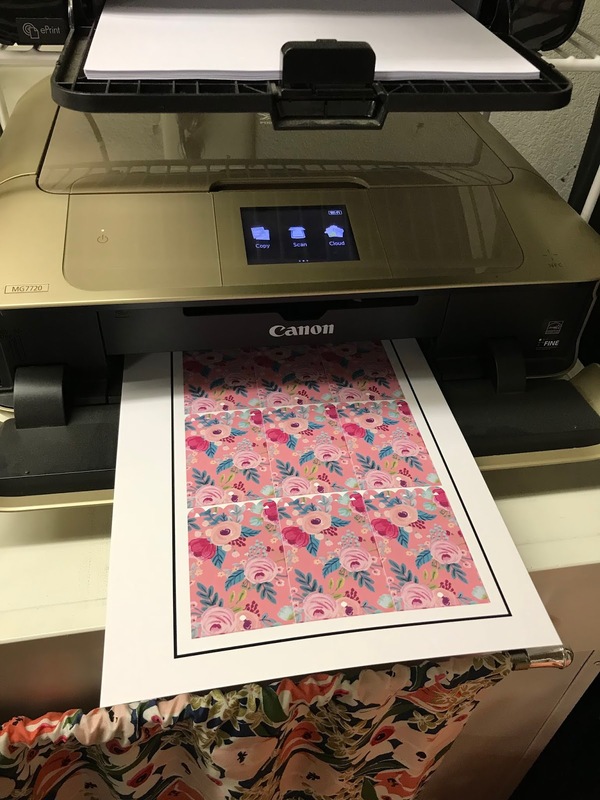 Once you're done printing, put your paper on your mat and load it into your machine. It will do the rest for you! I also decided to use my handy dandy Crop A Dile and a gold eyelet for a little added polish. So cute right?? This technique comes in handy at Christmas time, especially for someone like me who wants all my gifts to match. I've even used sticker paper to create custom sticker tags! So many possibilities!